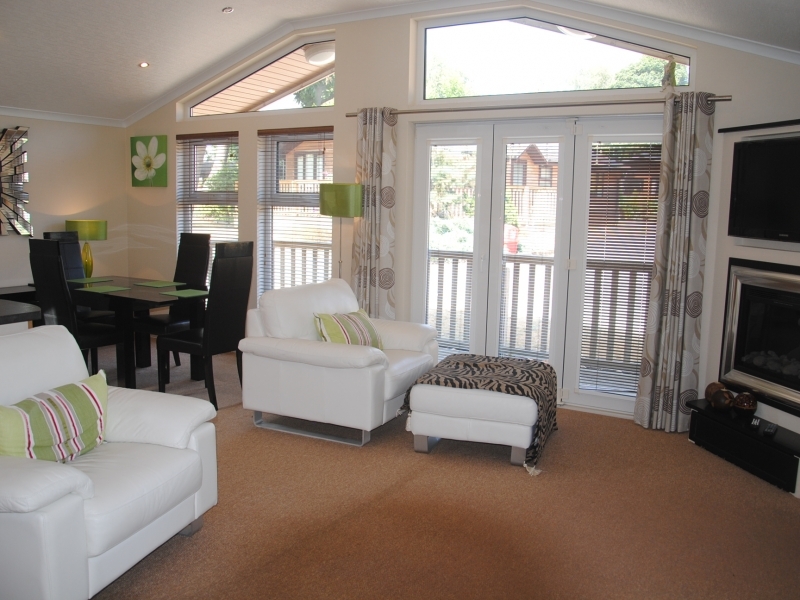 The Fyningham was designed and built to a very high specification for Priory Park by Lissett Homes. 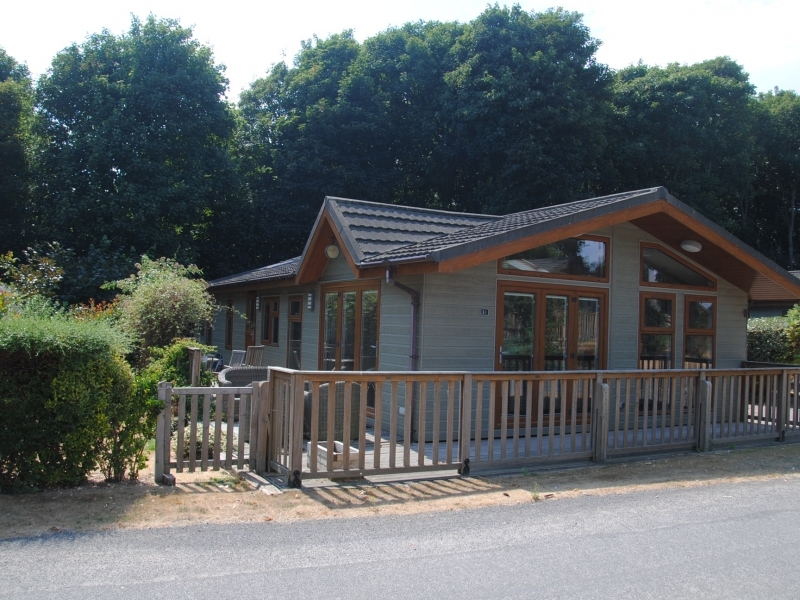 It is ideally suited for year round holiday occupation on Friars. The exterior is low maintenance finished in a pale arcadia green canaxcel cladding with golden oak effect uPVC windows and doors. The roof overhang features two exterior lights with further lights by the front door and decked areas. The driveway is block paved with ample space for two cars. A path leads around the holiday home with a generous deck with sunken hot tub facing to the south. 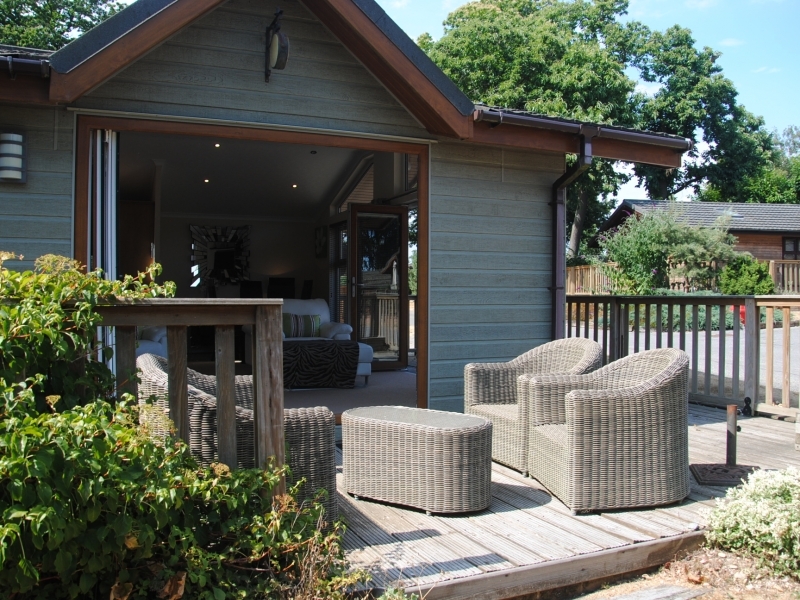 Although Friars is designed as an open plan woodland development, to give a degree of privacy the holiday homes are surrounded by established planting. The stylish interior of this lodge, with vaulted ceiling, is papered and finished in soft tones giving a clean modern feel. Underfloor heating runs throughout. 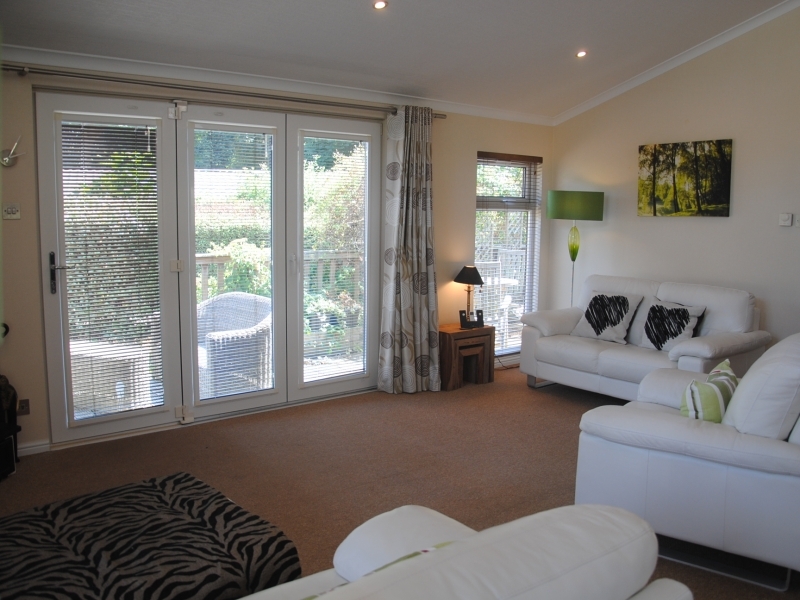 The lounge and dining areas are open plan. A Velux window and dual aspect windows flood the room with light. On two sides tri-fold doors open out onto the deck. The corner black and chrome electric fire creates a focal point for winter evenings. 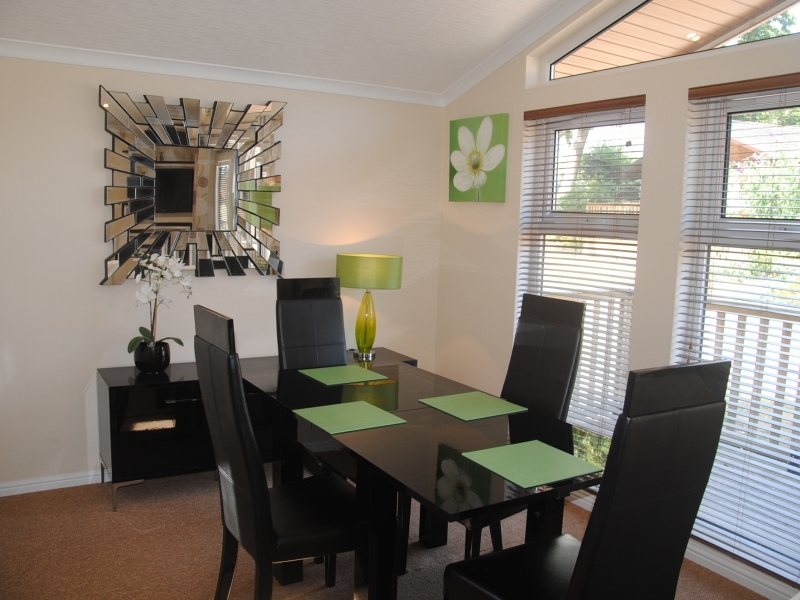 The dining area has an extendable table and four chairs which match the sideboard. 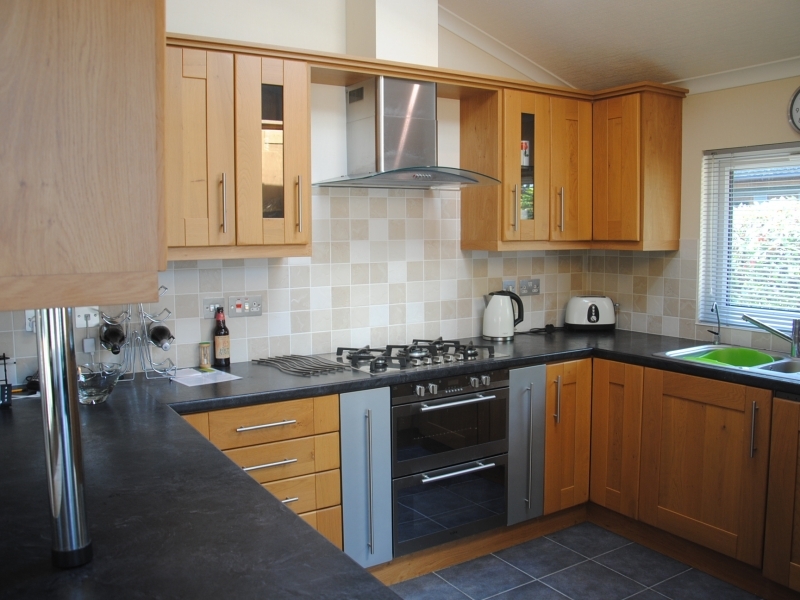 The kitchen is beautifully appointed with plentiful cupboard space and integrated fridge/freezer and dishwasher. The doors are oak shaker style and worktop in a basalt slate finish. The multi-function oven and five burner hob are a cook’s delight. 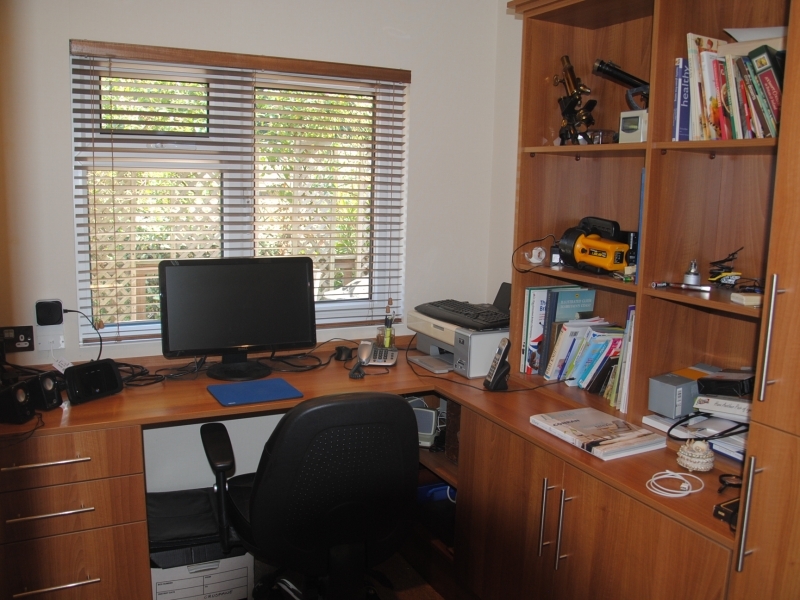 The study has fitted cupboards and shelving. An external door opens into the utility room where there is more storage, a sink and washing machine. The master bedroom features two velux windows over the king-sized bed with headboard and bedside tables. There is not only a generous walk-in wardrobe but a further wardrobe too. At the foot of the bed is a stylish dressing table with drawers below and a large mirror and TV point above. The en-suite has a full bath with shower over and is fully tiled. The second bedroom also has a velux window and a double bed with headboard. The bedside tables and dressing table are all in walnut matching the sliding wardrobe doors. 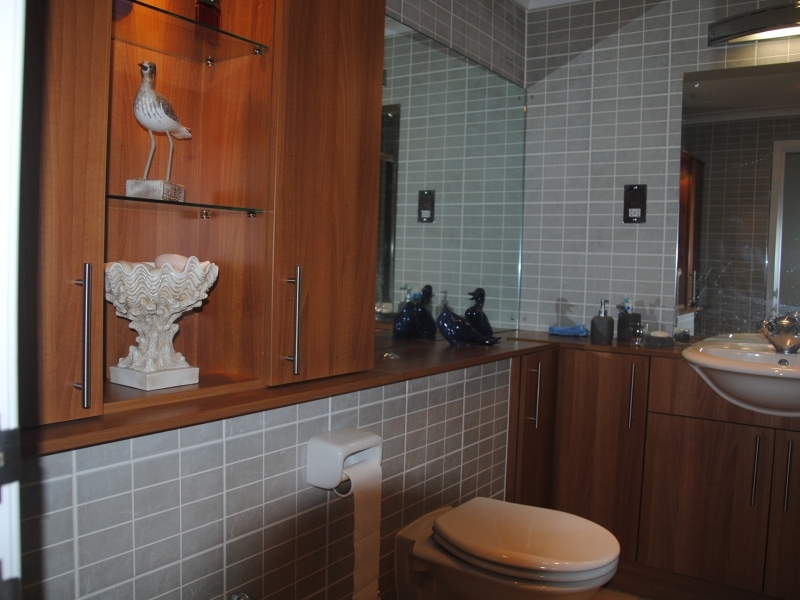 The generous family shower room is fully tiled with underfloor electric heating. The vanity has a semi-mounted basin with large mirror above. There are wall-mounted WC and bidet. Useful storage features in the hallway are the large airing cupboard and a cloaks cupboard.